Please read these Terms and Conditions (“Terms”, “Terms and Conditions”) carefully before using the https://bubithebear.com website (the “Service”) operated by Bubi The Bear (“us”, “we”, or “our”). By accessing or using the Service you agree to be bound by these Terms. If you disagree with any part of the terms then you may not access the Service. This Terms and Conditions agreement for Bubi The Bear is powered by TermsFeed. Our Service may contain links to third-party web sites or services that are not owned or controlled by Bubi The Bear. Bubi The Bear has no control over, and assumes no responsibility for, the content, privacy policies, or practices of any third party web sites or services. 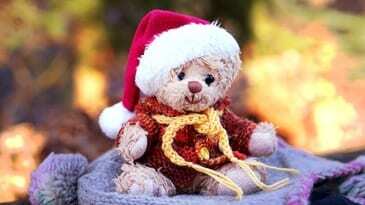 You further acknowledge and agree that Bubi The Bear shall not be responsible or liable, directly or indirectly, for any damage or loss caused or alleged to be caused by or in connection with use of or reliance on any such content, goods or services available on or through any such web sites or services. Other than the content you own, under these Terms, Bubi The Bear and/or its licensors own all the intellectual property rights and materials contained in this Website. Certain areas of this Website are restricted from being access by you and Bubi The Bear may further restrict access by you to any areas of this Website, at any time, in absolute discretion. Any user ID and password you may have for this Website are confidential and you must maintain confidentiality as well. In these Website Standard Terms and Conditions, “Your Content” shall mean any audio, video text, images or other material you choose to display on this Website. By displaying Your Content, you grant Bubi The Bear a non-exclusive, worldwide irrevocable, sub licensable license to use, reproduce, adapt, publish, translate and distribute it in any and all media. Your Content must be your own and must not be invading any third-party’s rights. Bubi The Bear reserves the right to remove any of Your Content from this Website at any time without notice.